Cheap flower delivery same day in Riga. Flowers will be at your home in 2-3 hours! Order cheap flower delivery same day to save any holiday or solemn event. 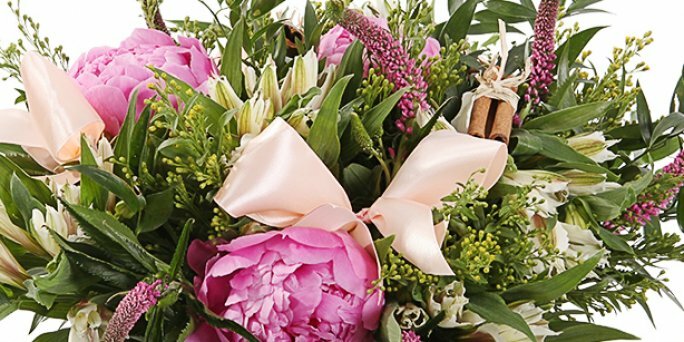 Courier service of KROKUS studio will bring a chic bouquet directly to the recipient's home. in 2-3 hours To order urgent, festive, night or next day flower delivery cheap in Riga you can directly on the website or by calling the operator of our shop at any time. The freshest same day cheap flower delivery are waiting for you in the online shop KROKUS. Tens of thousands of people around the world use flower delivery services. This service allows you to save time, and also to arrange a pleasant surprise to the person to whom the bouquet is intended. That's why, if you want to give flowers to a loved one, being hundreds or even thousands of kilometers away from him, the best solution is to order the present delivery directly to the gifted person. The most cheap flowers delivery is waiting for you in our online studio! ● free consultations on the choice of bouquet from experienced florists. ● available camomiles, lilac and even sunflowers. Using these garden and meadow flowers, along with decorative plants the professional florists and designers carefully make fantastic design arrangements in cardboard hatboxes, stylish paper wrapper with bright ribbons, wicker baskets, and metal bird cages. Often such arrangements are supplemented with festive candles, sweets, soft toys, greeting cards, balloons and other accessories. Agree that this range of flowers and gifts you will not find in any shop in Riga and all over Latvia. How to order same day cheap flower delivery in Riga (Latvia)? Do you want to surprise the gifted person by sending him flowers on a solemn day? Then feel free to contact KROKUS. We will help to make your congratulations original and memorable. To arrange delivery of a bouquet on the day of order, simply indicate the desired time and place of delivery of flowers in Riga. If the recipient is in another city in Latvia, select the urgent sending of the arrangement and use the service of next day flower delivery cheap to the specified address. Be sure that the gifted person will get a present personally in hand and hear your warmest and the most sincere wishes.